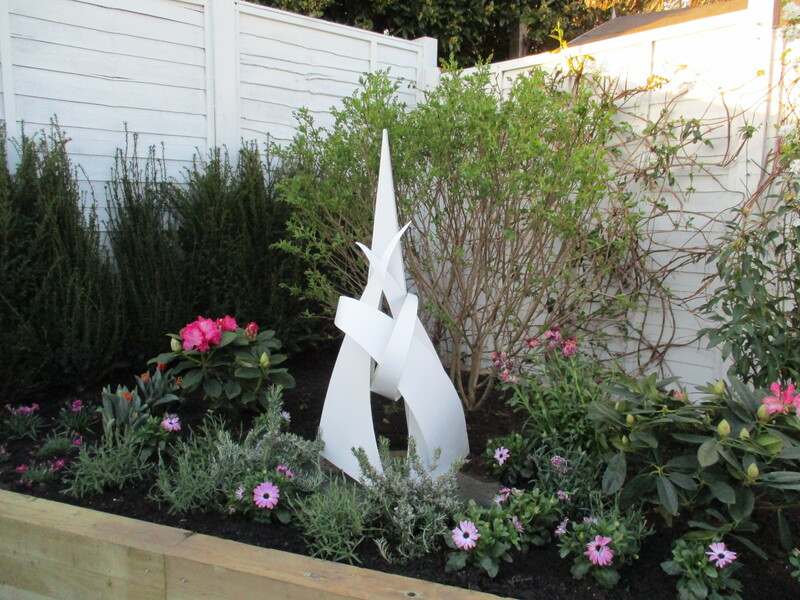 We commissioned Eddie Roberts, an outstanding metal sculptor to create a stylised version of the Spinnaker Tower (which Betty abseiled down twice! ), so Betty could always have a reminder in her garden. Eddie has a particular style to his creations and is incredibly talented. Eddie’s work opens up form, shape, colour, light and the use of materials, with an architectural and geometric feel. The sculptures are shapes that are translated from forms seen all around us every day, from the corners of buildings and rooms, to the sometimes microscopic and magnified forms of nature. All sculptures are primarily made for his own communication and pleasure. He is available for commissions – POA. 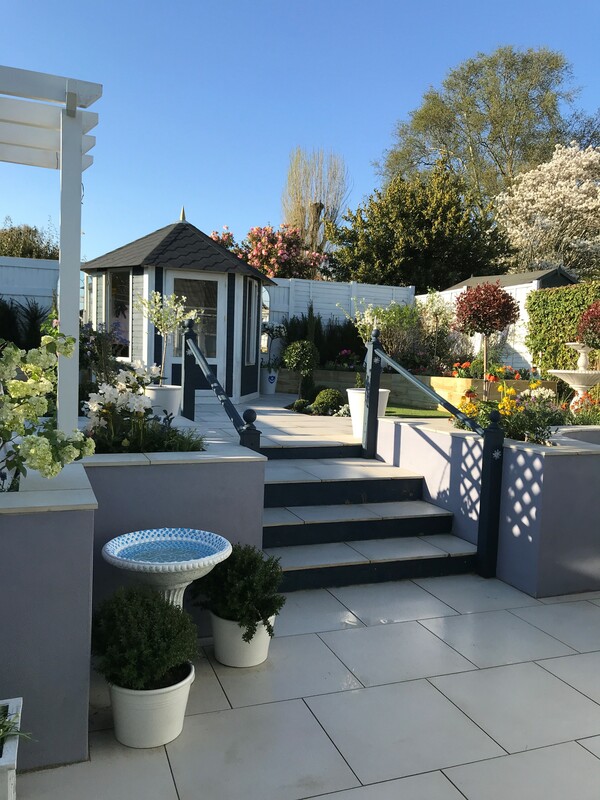 We selected this beautiful hexagonal summerhouse for Betty’s garden because it gives a timeless, classic feel, which fitted into our theatrical Italianate theme. 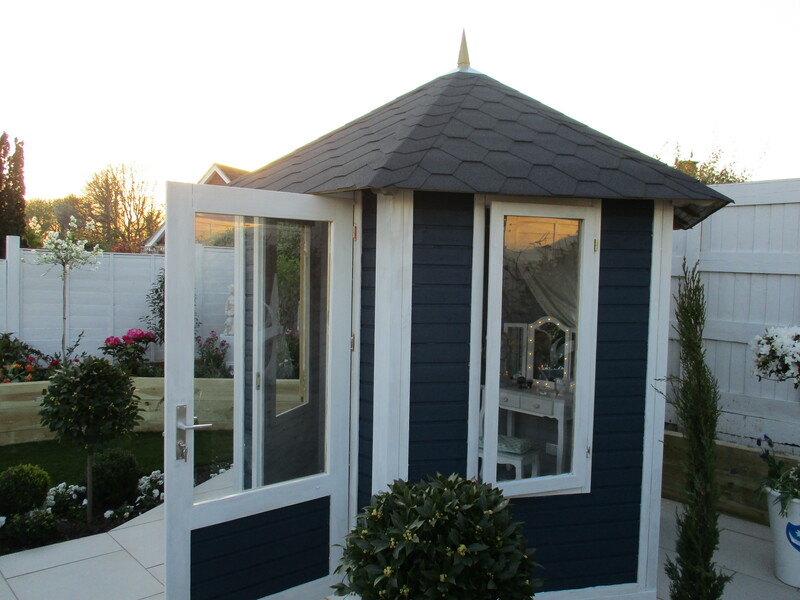 Please go to their website for stockists and further info on other lovely garden buildings, structures and fences. We wanted to create raised beds for Betty to have plants in at waist level. Grange’s sawn new railway slee pers are smooth – so no splinters and come in a really handy 1.2m length – which makes them much easier to handle and build with. They are pressure treated to prevent against rot and we also lined them with damp proof membrane on the sides to further protect them. 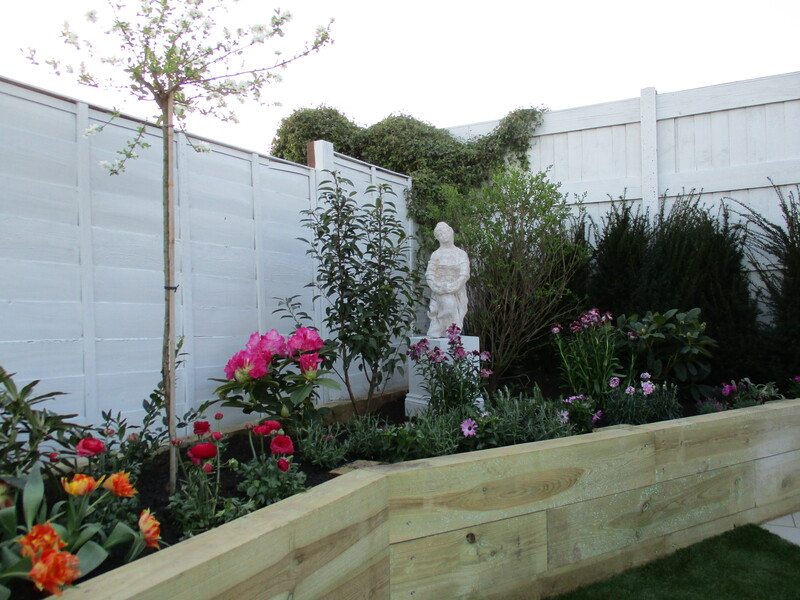 To build a similar raised bed or wall, use the railway sleepers horizontally on their broadest side, , then overlap the joints of the railway sleepers, from layer to layer, like building a brick wall, and fasten each layer to the layer below with timberlok screws or similar. You have now created a structure that is interlocked. 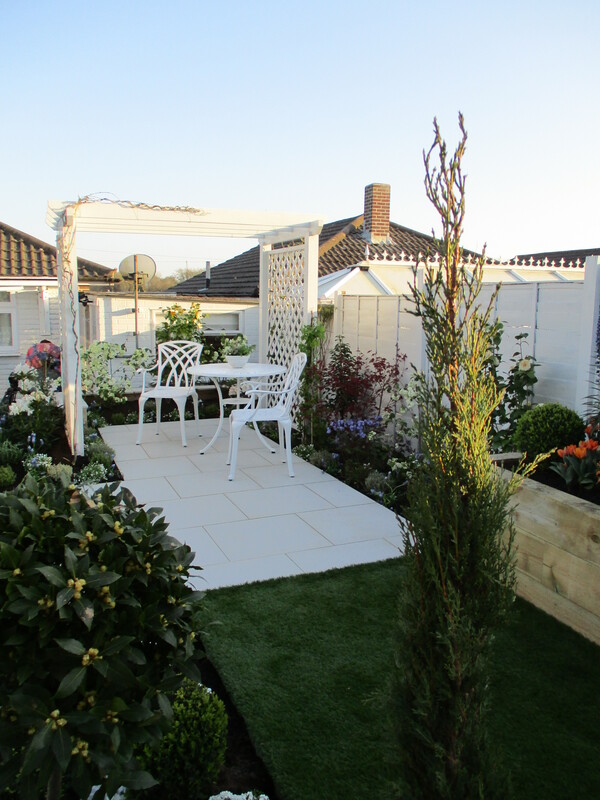 We wanted to give Betty a shaded outside seating area in her garden. 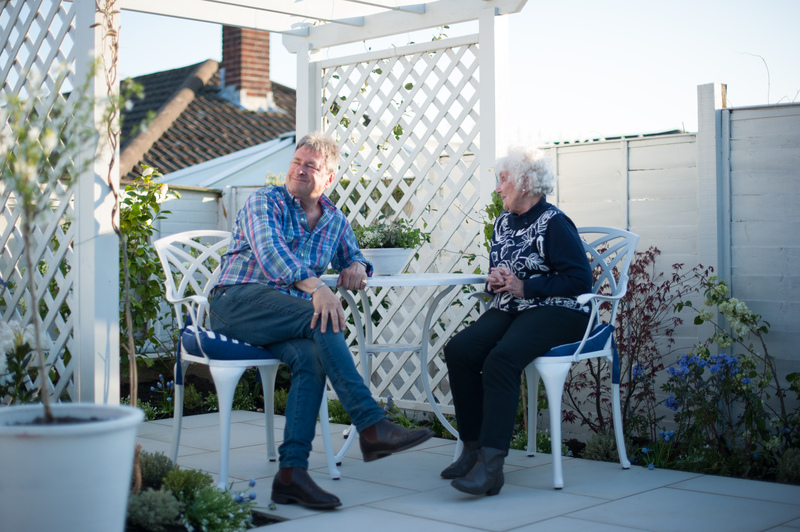 Frances and our carpenter Wayne created a beautiful bespoke pergola. Bespoke pergolas can be created in any shape and size, so you aren’t limited by the sizes of off the peg versions. We used 100 x 100mm treated timber for the posts which we secured with fast se tting concrete. We used 50x 25mm treated timber for the slats, which Wayne and Frances made curved ends to. 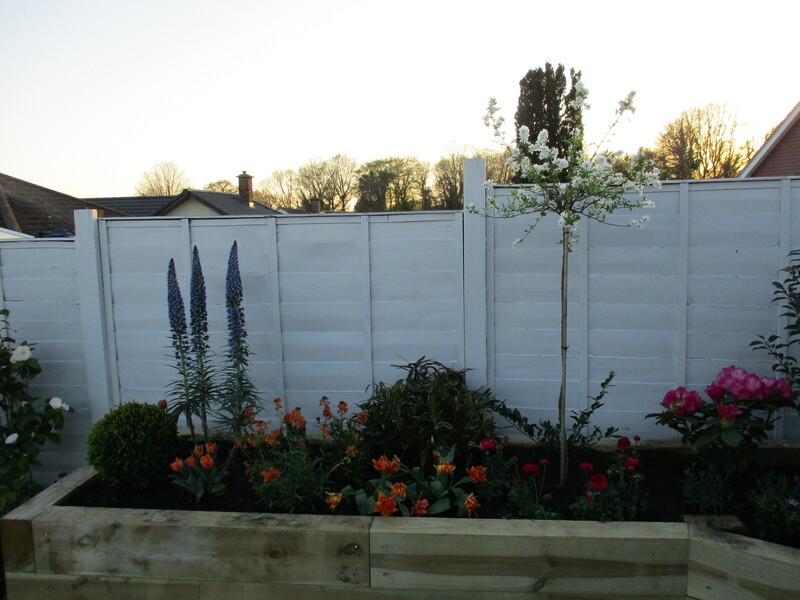 The lattice trellis panels are Elite Trellis panels from Grange Fencing, which add dappled shade to the sides. We estimate that this pergola cost £230 in materials. 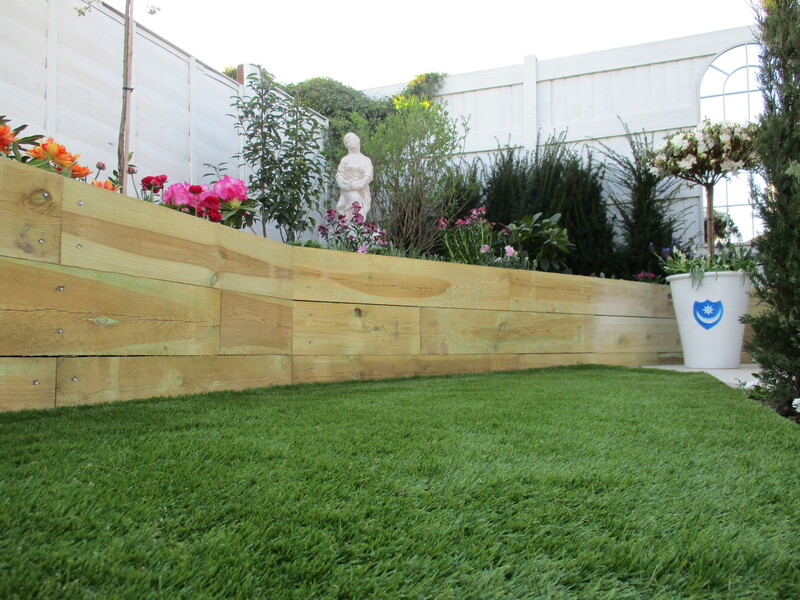 Betty wanted a lawn, but it needed to be low maintenance, so artificial grass is the perfect solution. 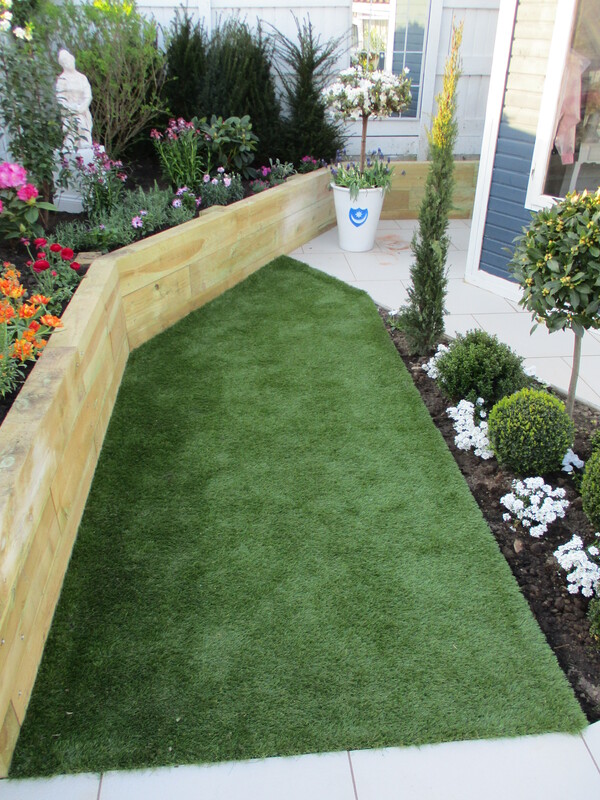 It looks great all year round allowing you to get the very best of your garden, without the garden getting the best of you! For an artificial lawn, the ground must have adequate drainage and be a stable. This can be achieved in a number of ways depending on the area that you have selected to cover. The most commonly used technique, suitable for most situations, is to dig out the area to the right level and compact sharp sand to a nice even level. Dips and bumps can adversely affect the finished appearance. The guys at Berkshire Artificial Grass did a fantastic job supplying and laying it.